Want to be a Collaborator? Meet the PlySpace Residents of past and future! Kevin Titzer was born and raised in Evansville, Indiana in the United States, although he has been based in the Saguenay region of Quebec for the last nine years. His sculptures are predominantly created from found and scavenged materials. His site-specific installation work is often crafted from materials gathered at the location of construction and formed into improvised house structures. These structures are highly informed by the communities they are created in. Titzer has been exhibiting professionally in art galleries for twenty years and his work has been shown in Canada, Mexico, Japan, UK, and across the United States. While in residence, Kevin will create the fifth installment of a project he began in Guadalajara Mexico in 2017. The original project was a house-type structure created from pieces of the city which had recently been damaged by an earthquake. 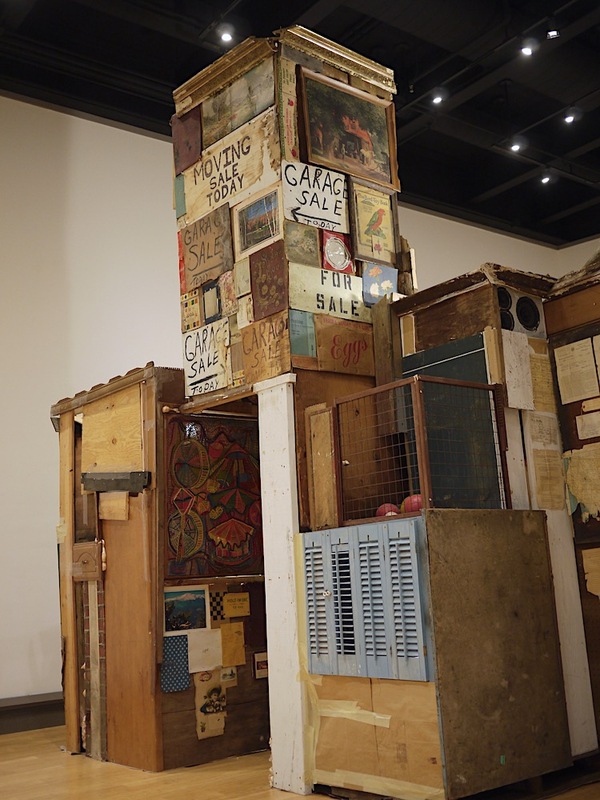 Using found objects, donated objects, and crafted figures, Titzer created dioramas and modules with windows and peepholes which were scattered throughout the structure, allowing viewers to investigate the space. Titzer will reimagine the structure format using the city of Muncie as an inspiration and lens, and will create a new sculpture from debris, donations, and found objects from Muncie. The Muncie installment of the project will be open to the public in the PlySpace Gallery towards the end of the Spring term. As the PlySpace Fellow, Titzer will work directly with Ball State University to bring his expertise in woodworking, found materials, and construction to a variety of Ball State School of Art students. His partnership will be focused on the foundation-level students, giving them creative inspiration on how sculptural forms are developed. He will also interact informally with numerous Muncie citizens in order to locate and collect the found objects for his work. This installation at PlySpace uses found, donated, and scavenged materials from around the area. Some of the found-object sculptures and structures will have interactive elements, like electronic movement or sound, activated by the viewer. Titzer says his final exhibition is a mix of his own experiences and reactions, "I'm left with an amalgam of images that filters through the studio. What emerges is an impressionistic view of my time spent in a specific region. In this respect, the art often reflects aspects of that community, but isn't a one to one portrait per se."